As we celebrate a New Year, I want to take a moment to highlight my favorite posts from 2014. I was prompted to do this by google, which sent me a photographic compilation from the blog in the form of a video. If you're on google+ then you I'm sure you got one as well. I'll share that with you along with what I want to reflect on, because it's nice for me to go back and see what I managed to do here for the blog. Don't worry, I won't share the bad or unfortunate moments of the year since that isn't what I do here. This past year marked some wonderful chapters in my life and I'm so glad I was able to share a few of them with you. 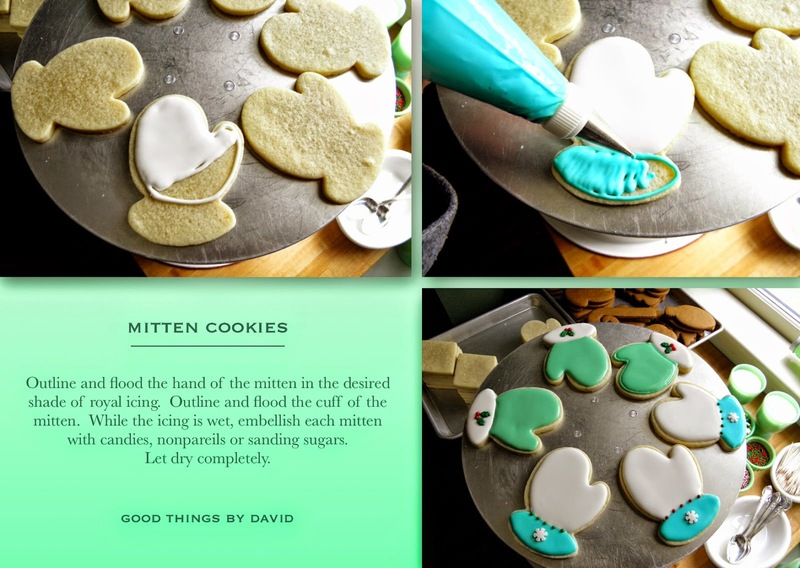 My trip to California which included some great finds at antique stores & fairs, the small excursion to Cape May, my cookie decorating demos at Williams-Sonoma and many delicious cookies, are just some of the things that I enjoyed in 2014. Here are my favorite posts from 2014! At the start of 2014, I took a trip to the west coast to visit family. This is something I do every single year and during these visits, I try my best to visit antique shops and perhaps attend an antique fair if there is one scheduled. The Rose Bowl Flea Market was having its monthly display while I was there, so I took advantage of a marvelous thing. 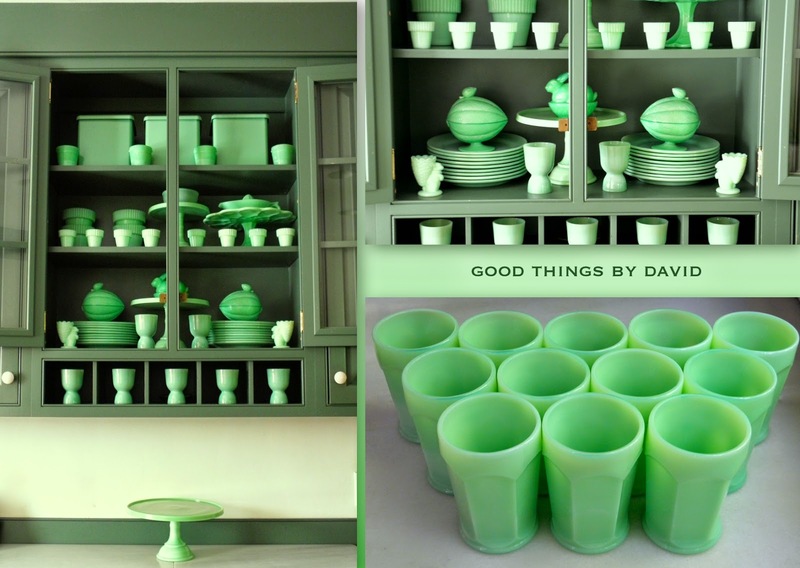 I found some nice pieces of jadeite which made their way into my kitchen. Those collectible bowls and other items get used a lot! I’m so glad I have them. Upon my return to Pennsylvania the weather turned bitterly cold, with snow piling up in great quantities at the end of the month. We suffered a week-long power outage which forced us to leave our home. Thankfully we were able to take refuge in Cape May. Taking those walks along the beach, even in frigid temperatures, was nice. I almost didn’t want to leave the area because it was so calming and serene. That small area is unlike any other in my opinion. Oh, and the seashells I collected were absolutely beautiful. One of my favorite recipes for turkey marinara was made with the tetra-pak tomatoes that are now the ‘canned tomatoes’ of choice at my house. If you find these at the supermarket, give them a try because you’re going to like their flavor and the fact that they don’t contain preservatives. My kitties are always near me supervising what I do in the kitchen. Whether I’m making dinner or lunch for us, these little babies have to know what’s going on. They mean everything to me. Believe it or not, Lion is extremely camera shy to the point of running away if he sees the camera. Ms. Kitty is the complete opposite. 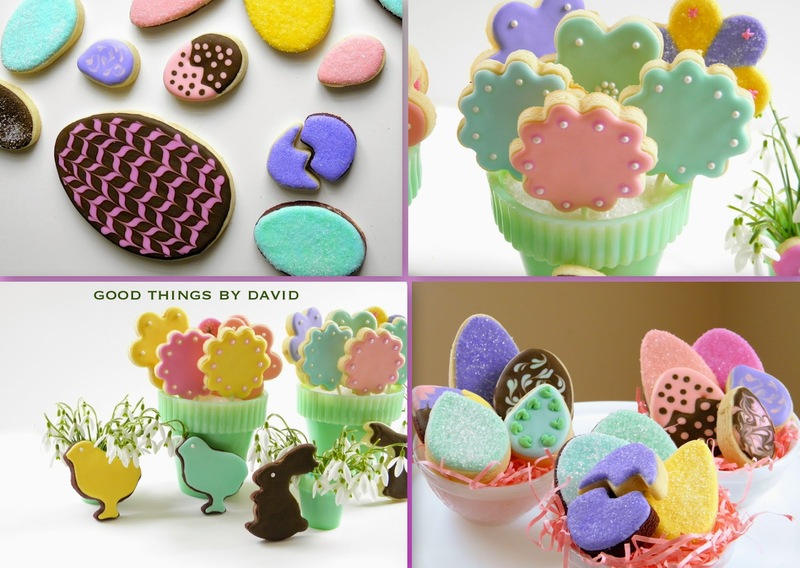 Let’s not forget the Easter Egg Cookies that I made for my niece’s birthday party. 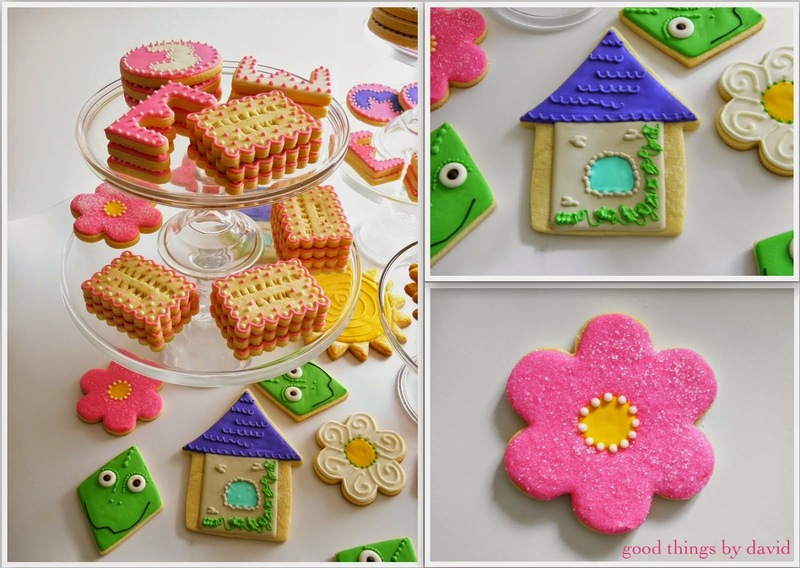 It’s so much fun coming up with new cookies to send to my niece (and nephews!). Using those Martha by Mail copper cookie cutters that were given to me by a dear friend made them even more special. I mustn’t forget the marshmallow cutters which were in the shapes of Easter bunnies, chicks and butterflies. Snowdrops are my favorite harbingers of spring, right next to the abundance of robins. Arranging them en masse is simple because they don’t require much. You can see that while I was photographing those flower arrangements, Ms. Kitty decided to photobomb it. She’s too much! Although I didn’t show these cookies here on the blog, I did create a number of railroad-themed treats for my youngest nephew’s birthday party. Everyone loved them! How to package and mail out fine china was a great post because I can’t tell you how awful it is to receive broken pieces of earthenware or glass. Taking the time to wrap these fragile items with extra care is a must for both the sender and the recipient. Go through this post for a refresher course! Summertime had us power washing and painting the old colonial. This was long overdue and it is something which has given the house a breath of fresh air. Let’s not forget the Fourth of July cookies that I made using my perfect royal icing in two consistencies. One was in the form of a drippy glaze for star cookies (those were awesome!) 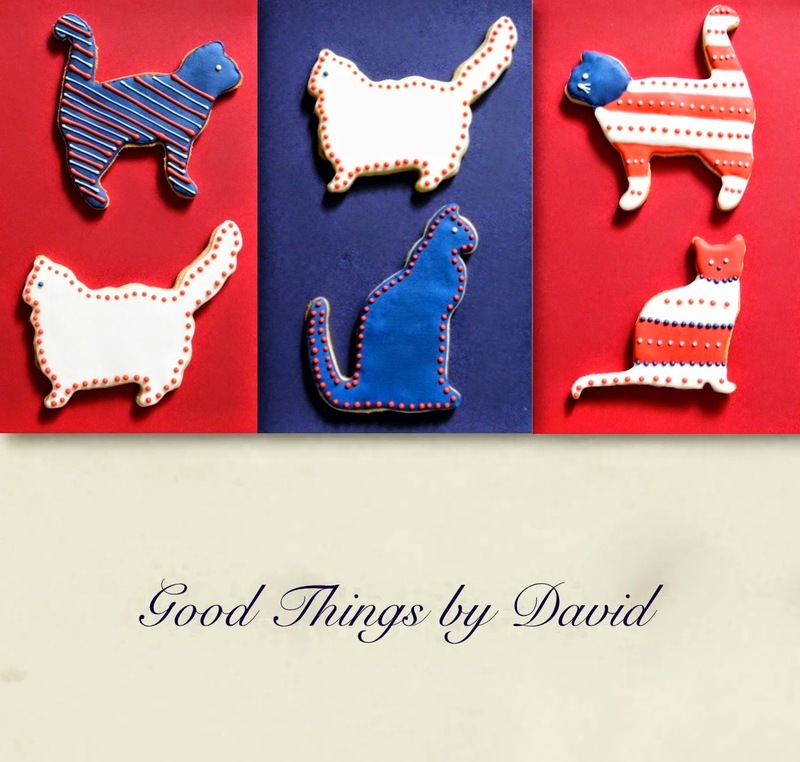 and the other was of piping & flooding consistency for some star-spangled kitty cat cookies. The stars went to some local residents and the cats were mailed to my family. I can’t stress enough how important it is to line your fine china with felt when stored in a breakfront or cabinet. It prevents mishaps, scratches and other unpleasantness. All of you do this, right? 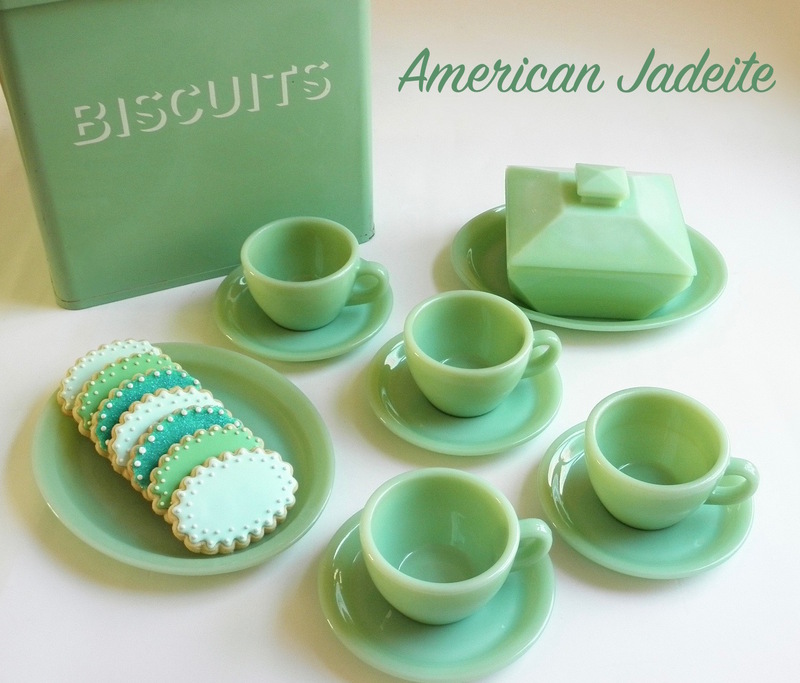 My jadeite is within reach at all times. Organizing these pieces, at least the Martha by Mail jadeite collection, was something I had been meaning to do for quite some time and I’m glad I did. It’s now housed in one of my glass-fronted kitchen cabinets and I love having it there. I’m going to have to integrate my Fire King restaurant ware pieces at some point. Do you know that I make a roast chicken for dinner every single Friday without fail? A friend of mine said to me: “that’s so Ina”. Well, I suppose it is, but I do it because I love having leftovers. Whether I smother the chicken with butter, olive oil or even dijon mustard, the leftovers are always to die for. Adding spices and herbs to taste is what makes each chicken different from week to week. Go back to the fundamentals of roast chicken and make one this month for you and your family. 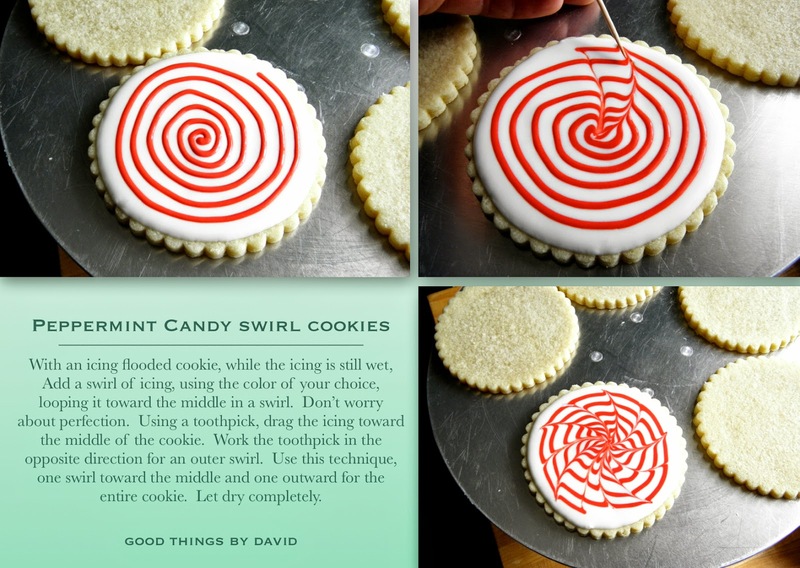 Tangled Cookies! How I loved making these for my friend’s granddaughter’s birthday. Knowing full well that little Elleanor would adore the treats, I made sure to ice them in her favorite colors. 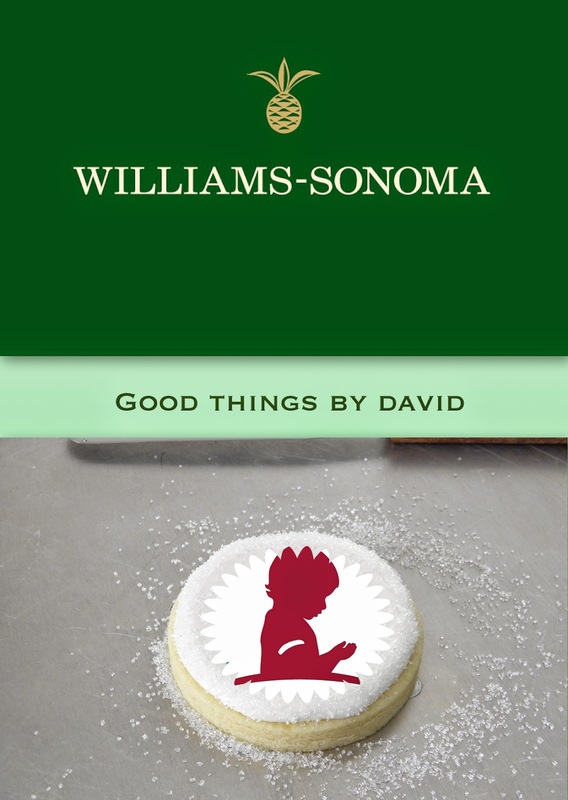 As summer came to an end, I began to prepare myself for some Williams-Sonoma demos that had been scheduled for the season, while keeping my cookie decorating a priority. For my first demo I showed several of my favorite cookie recipes, including these fantastic chocolate chip cookies. I bake these every single week without fail. Halloween Cookies were made in spooky shapes using those eerie colors we all like. The second set of Halloween Cookies using colored cookie doughs were presented at my Halloween demo here in Ardmore, PA. Everyone loved them! 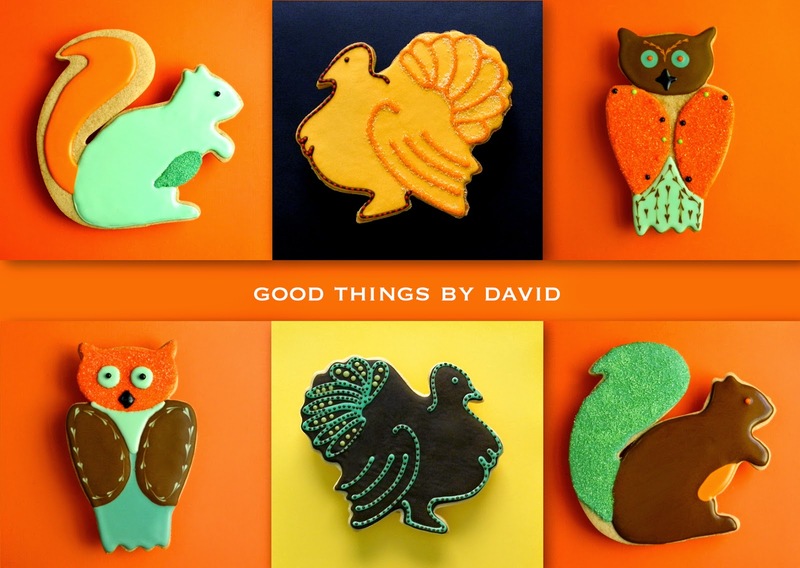 Fall Leaves were more of a riot of colors blended together in whimsical designs, but nevertheless, they were a good addition to my cookie decorating repertoire. I absolutely loved making these. Nothing about them was difficult. Let’s not forget the Fall Acorns, Squirrels & Bats that were iced in shades of orange, green & brown. The cookies themselves were sugar & spice. Extra tasty in my opinion! 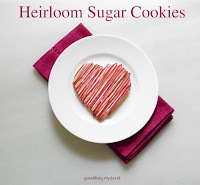 If you must know, I LOVE the sugar & spice cookie recipe that I made for the blog. It’s my sugar cookie dough tweaked with some spice and brown sugar. I find it perfect for those who want to bring their cookies up to the next level of sophistication. OK, maybe not sophisticated so much as delicious. A must try! Fall is, as you know, my favorite time of year. The colors in nature are unlike any other, and yet, they are only here for a very short period. One must take advantage and photograph these moments before they slip away. December was perhaps my busiest month. 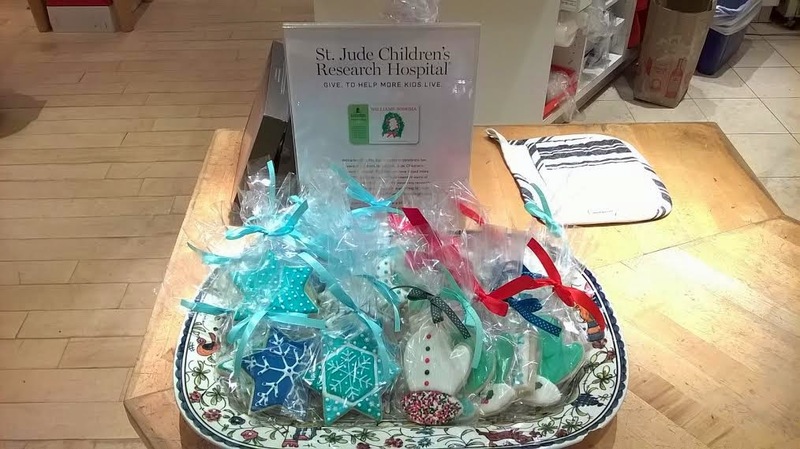 Not only was I baking up quite a lot for the cafe and for others, but I was working overtime to show my cookie decorating at Williams-Sonoma which was geared toward fundraising. 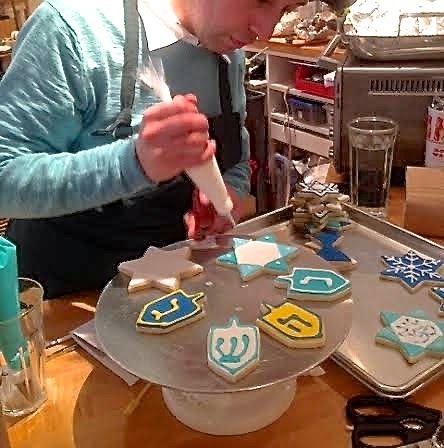 Here I am creating cookies in-store for Hanukkah, using Stars of David & dreidel shapes. I had a lot of fun at this event. Do you see how I’m using that cake turntable to ice? It makes things much easier. 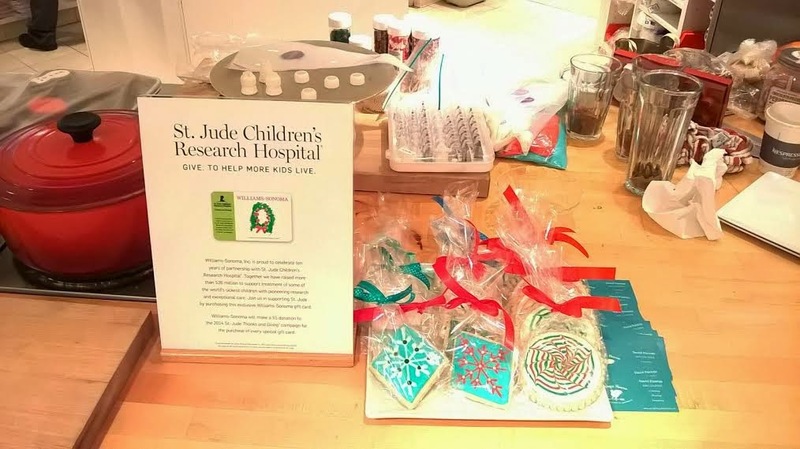 At this event, I had Holiday Sweets as my theme for cookies which went toward St. Jude Children’s Research Hospital. They sold out quickly! The following week was spent making Christmas Cookies for the decorating demo. Again, all proceeds went to the Children’s Hospital. 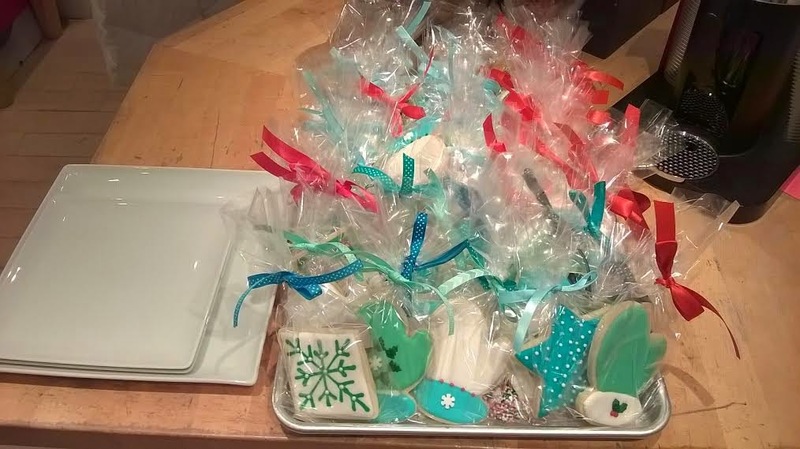 Here are some platters lined with cookies, ready for patrons. If you must know, I absolutely loved how people took to these cookies. It meant a lot to me that people donated generously. A big Thank You to everyone who made it to my demos and donated!! To cap it off, I finally treated myself to that much-needed KitchenAid mixer I’ve been wanting. I’m so glad I have it at the ready. I see a lot of great things being made with it in 2015. Last but not least, I want to thank every single reader who has taken the time to leave a comment, send an email or suggestion to me. I never lose sight of the fact that I have a broad range of readers from around the world who continue to support my endeavors here on Good Things by David. I am grateful for your never ending support. Let’s make 2015 a good year! It's been wonderful reading your 2014 posts and I look forward to 2015 with you! Thanks Jayne and Happy New Year to you! 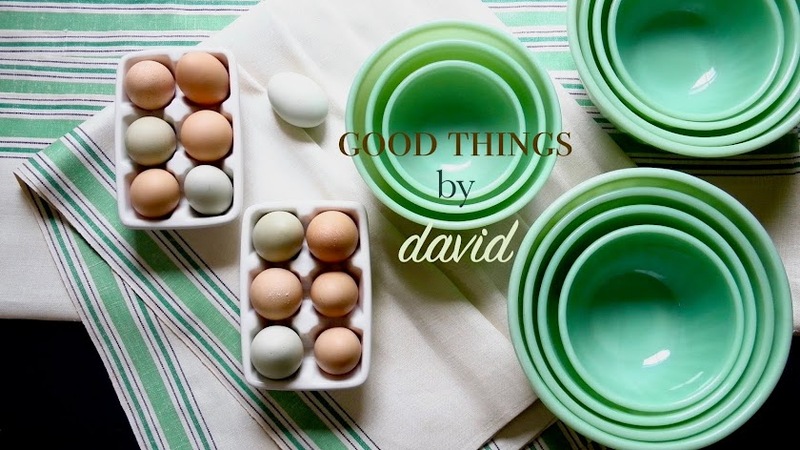 David, your blog always manages to make me feel that all is OK. Thanks for the positive posts.